Another day, another WikiLeaks beat up. Guy Rundle dissects the latest headline which cried conspiracy. 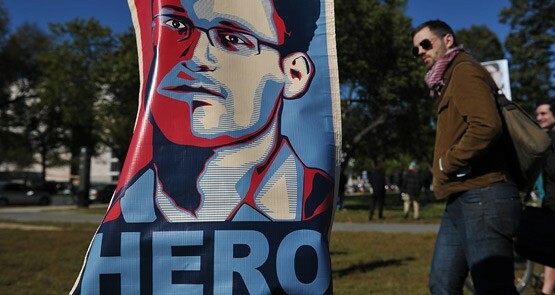 Will Edward Snowden get a hero's sendoff when he dies? Crikey's writer-at-large hopes so, as he is a hero every bit as much as Mandela. What drives Guardianistas so crazy about matters Assange? So you thought the WikiLeaks saga couldn't get any stranger, more convoluted or more ridiculous in juxtaposing stories of world import with petty absurdity? Think again. Assange slammed what he implied was a series of snobbish class judgments in The Guardian's treatment of the phone-hacking scandal, which has centred on "red top" tabloid the News of the World. WikiLeaks ... all-in-all, quite a set of leaks. A whole new source of secret information? Well, not quite. One of the police interrogators involved in the investigation of WikiLeaks founder Julian Assange had links with one of the complainants. Just at the point when the WikiLeaks saga was collapsing into final absurdity, US soldier Bradley Manning faces 22 additional charges, including that of aiding the enemy, which attracts the death penalty. Team Assange had a less than totally successful day in court, after Assange's Swedish lawyer, while giving evidence, informed the court that he had incorrectly reported that the Swedish prosecutors had made no effort to interview Assange while he was in the country in late August/early September last year. When we last left our hero, he was languishing in a Norfolk mansion with a Glasgow Rolex on his ankle, trapped in a Christmas photo-shoot wearing hunting brogues. Looking hale and hearty from his country estate regime, WikiLeaks star-fleet commander Julian Assange yesterday appeared at London’s Frontline Club.